Fr. Augustine John Valkenburg (1918 – 1990) was born in Ballinrobe, Co. Mayo. 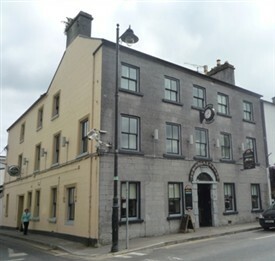 He was the eldest child of Joseph and Neillie (nee Purcell) proprietors of the Valkenburg Hotel. His father was also involved in farming. Fr. 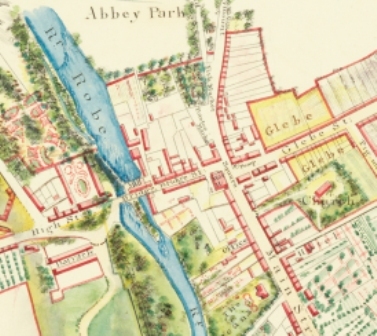 Valkenburg was educated first by the Sisters of Mercy and then the Christian Brothers in Ballinrobe. He went on to St. Jarlath’s College, Tuam having wanted to become a priest from as early as ten years of age. 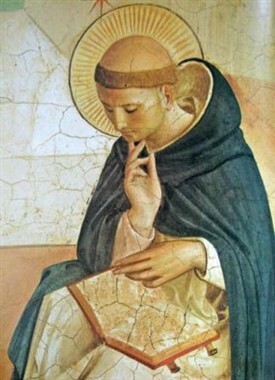 The stained-glass windows in the local St. Mary’s Church and SS Dominic and Catherine had a lasting impression on him and encouraged him to become a Dominican priest. He was received into the Dominican Order in 1937. Fr. Augustine attended University College Cork where he studied Arts and followed with Philosophy at Tallagh in 1939. He returned to UCC after ordination in Dublin in 1944 and took the Higher Diploma in Education. From 1950-74 Fr. 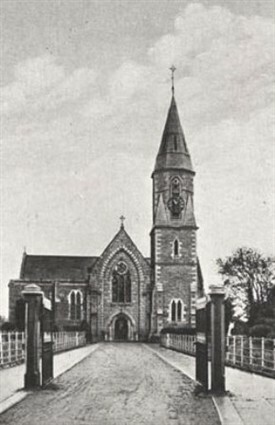 Augustine was a very successful teacher of Irish, French and German at Newbridge College. His infectious enthusiasm for his subjects was a great benefit to both himself and his pupils. He became headmaster for three years in 1965. Fr. 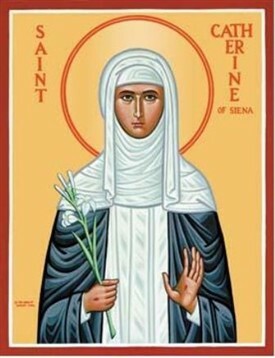 Augustine volunteered in 1974 to go to Persia (Iran) where he was curate at St. Abraham’s, Teheran. From 1977 he took care of the Catholic community at Isfahan and was secretary to Archbishop William Barden. When revolution broke out he was expelled. Naturally, having enjoyed his community, and the recreation in the stunning mountains close by, he badgered the officials who were telling him to go, and pleaded to stay. This was not to be and finally officials stamped his passport “to leave before 23rd August 1980”. On his return to Ireland he was based in Newry sharing in the work of the local church and convent. He was the first to hold a meeting of Protestant clergymen in the priory. From 1980 he worked for the historical commission on the causes of Irish martyrs. Fr. Augustine had a life long enthusiasm for Irish, and indeed as a student he edited the magazine An Sciath. In 1950 he spent a summer at Aberystwyth in Wales improving his knowledge of Welsh. His knowledge of French was a great advantage during his time in Persia (Iran) doing secretarial work for archbishop William Barden and he also studied the local Farsi language in his spare time! Among his cousins were Fr. Denis Fitzpatrick S.M.A, who worked as a missionary in Fiji, Br. Aloysius Valkenburg, a De La Salle brother, his uncle was Hermann Valkenburg, a priest who went from All Hallows to England and Sr. Eilis Valkenburg who was a St. Louis sister. During his life he had many publications with his poems, mostly in Irish, and his work was published in various anthologies. His first books were Mise an Bheatha (1956) and Leabhar Irimiá (1975). He also wrote articles for many journals and the historical journals of Kildare and Kerry. Fr. Augustine was a personal friend of Seamus Heaney. This Ballinrobe man, was a fair-haired man with blue eyes with a droll sense of humour. He was always full of life, bubbling over with excitement and enthusiasm. Everything was an adventure for him and everyone his friend. In his pastoral service he was esteemed for his goodness and his readiness to oblige. Details were extracted from the obituary for Fr. Augustine (Fr. Gus) which was written up by Fr. Hugh Fenning, OP, Provincial Archivist of the Irish Dominican Province. Note: Order of Preachers (OP) is better known as Dominicans. The Order was founded by St Dominic de Guzmán in 1216, in response to an urgent need for informed preaching. The Albigensian cult was gaining ground to an alarming extent, because most Christians at the time were very poorly instructed. The cult saw the material world as evil, and escape from it the only route to salvation. Dominic’s sermons have not survived, but he must have placed a strong emphasis on the goodness of creation and of the human body: today we might use the word ‘holistic’ to describe this. This page was added by Averil Staunton on 12/07/2011.